So I thought I try and raise a smile this Friday so here goes. 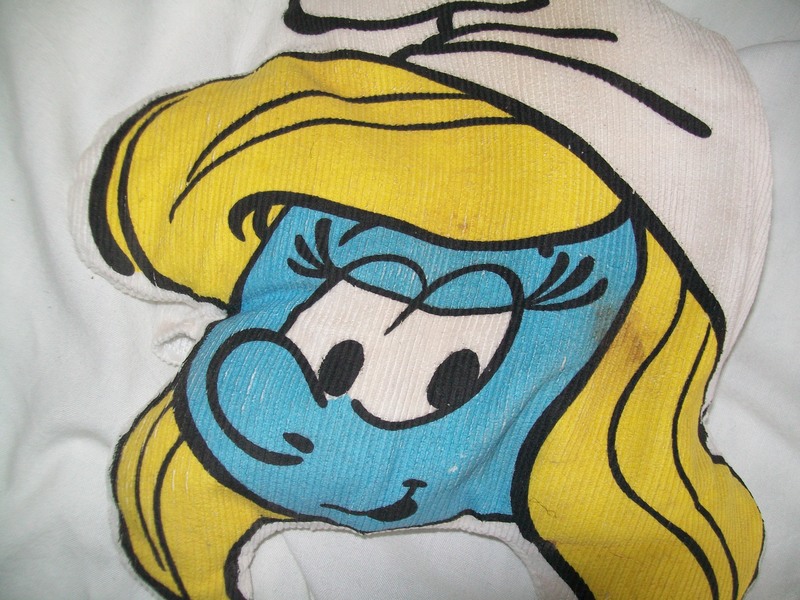 I decided that I’d try do this by posting a picture of my Smurfette Wheat bag, mostly because I think it’s actually quite cute. Yes, I know I’m 22, but in my opinion it’s fine to always carry a torch for those TV shows and characters you loved to watch before school while you were chompping down your Coco Pops (other breakfast cereals are avaliable). I actually though I’d lost this one somewhere in and amongst the other army of wheat bags that my family seem to own, I always did like this one because it’s one of the smaller one because it smells of vanillia, which makes a nice change from all the other lavender scented ones that we have. I smiled most at the fact that you added a link to the Coco Pops website!